Today is Anne Hathaway's birthday. 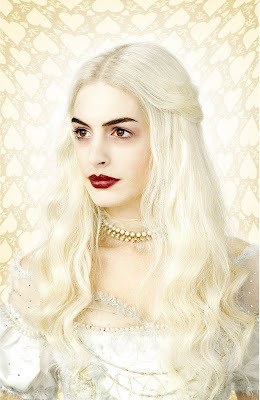 As you no doubt know by now, she is playing the White Queen in the upcoming Tim Burton movie, Alice in Wonderland 2010. I personally think she's a great choice and am looking forward to seeing her in it. I've really only seen her in maybe two movies. I thought she was very good in Get Smart. Here is her IMDB page.